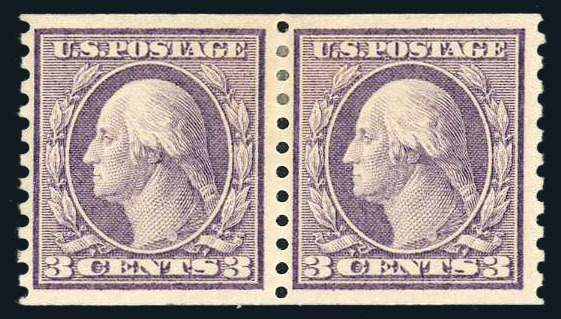 U.S.; General Issues, 1916, 3¢ Violet, Horizontal Rotary Coil, #456, o.g. (h.r. ), pair, Fine to Very Fine.